Last year, at Amnesty International’s annual conference, the only resolution to be voted down was one calling to fight antisemitism. 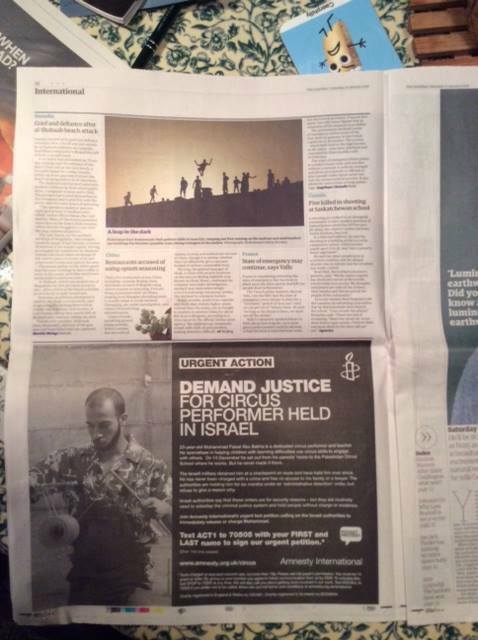 Yet Amnesty had no problem spending an estimated $10,000 to buy an ad to support a Palestinian clown in administrative detention – a clown who happens to feature terrorists and support for ethnically cleansing Jews on his Facebook page. This story is discussed in the latest edition of EoZTV, along with the rallies supporting the Terror Clown throughout Europe.